Australian businessman Clive Berghofer has capitalised on strengthening investor demand for premium grade commercial assets, after divesting a government-occupied building in Brisbane for $81.47 million. 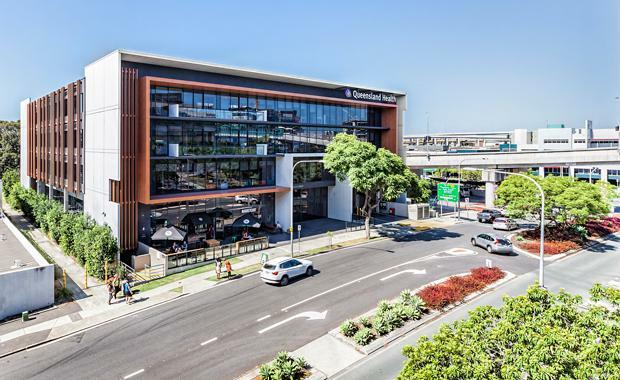 Located at 15 Butterfield Street in Herston, opposite the Royal Brisbane Hospital, the property comprises 11,075sqm of net lettable space over four levels and is backed by a secure lease to the Queensland Government (Department of Health) for just under five years. CBRE’s Mike Walsh and Peter Court negotiated the property’s sale to Australian Unity off-market on behalf of Mr Berghofer. Mr Walsh said the property’s strategic location and the fact the cashflow of the asset was underpinned by the Department of Health were pivotal to the sale. “This building’s attractive tenancy profile and immediate proximity to the Royal Brisbane Hospital bolstered its investment appeal to Australian Unity given the asset has been purchased in their Healthcare Fund,” Mr Walsh explained. Mr Walsh said the sale came after a series of recent acquisitions for Australian Unity. “This acquisition ensures Australian Unity is well positioned in a key Brisbane market with arguably the most prime asset available next to the Royal Brisbane Hospital,” Mr Walsh explained.